My love affair begun years ago. I have always enjoyed my trips – the shopping, the atmosphere, the good company and of course the food. Somehow I almost always manage to meet friends there without planning ahead. There is always something new to discover each time and the old favourites to relish. 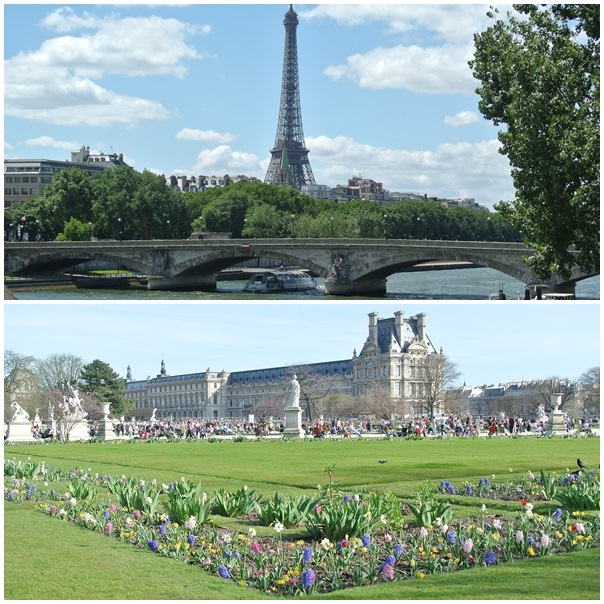 Here are some of my favourite places in Paris. 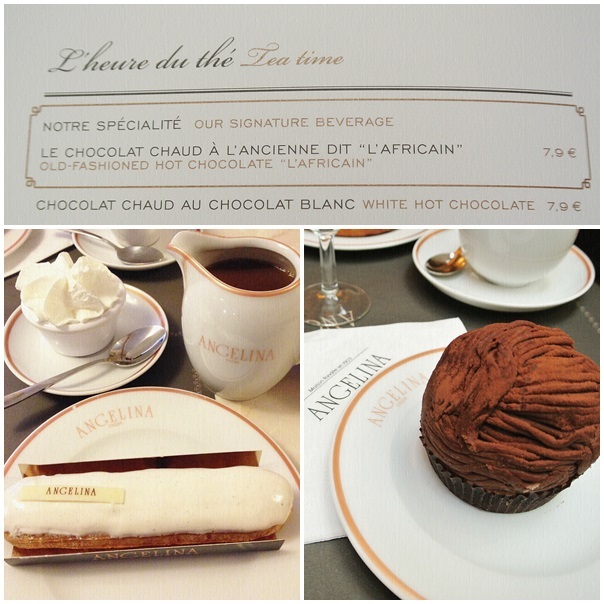 My first stop off the plane is always Angelina (a stones throw from the Jardin des Tuileries) for its renowned rich, intense and sinful chocolat chaud Láfricain served with chantilly cream. I use the chantilly cream to “dilute” the hot chocolate. A friend found the cream so delicious, she finished it by itself. This is an old school French tearoom with rows and rows of magical mont blancs, beautiful eclairs, tarts and the list goes on. My weight goes up just looking at these delectable treats. A delight for the senses. I personally prefer their sweets to the savoury menu. 226 Rue de Rivoli, 75001 Paris, 1st Arrondissment. I always go back to Restaurant Apicius, a 2 Michelin starred restaurant set in an elegant 18th century mansion near the Champs-Elysees. 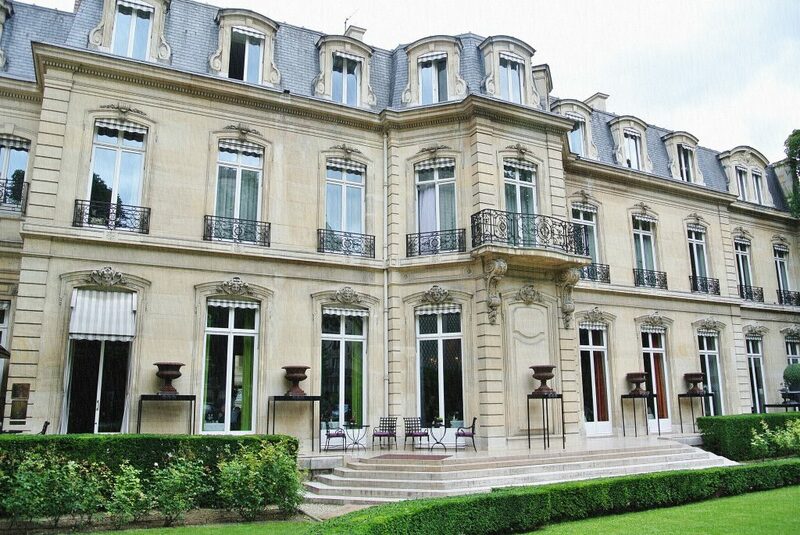 The mansion was said to be formerly owned by Helena Rubenstein and now by producer Luc Besson. 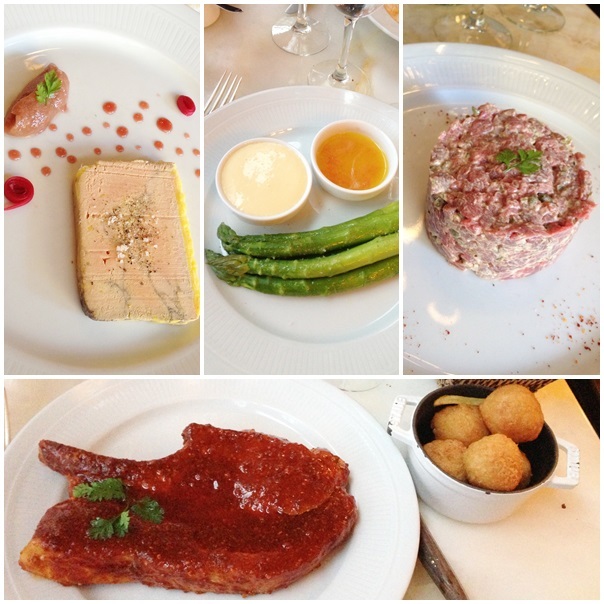 Lovely setting, top notch service and classic French food in a refreshingly modern style. 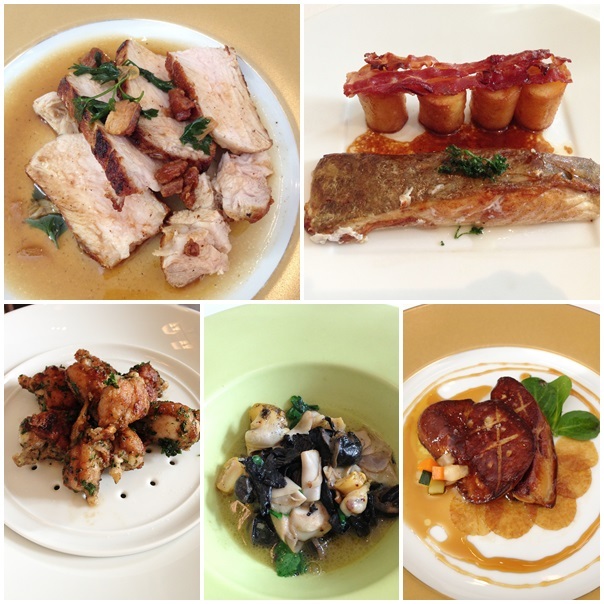 You can go traditional with the tender and juicy veal, steamed turbot, escargots, pan fried foie gras or try the crispy frog legs. There is an extensive wine list. From the moment you step in, service is meticulous, polite, professional and warm. Great for a romantic date. Be prepared to spend. 20 Rue d’Artois, 75008 Paris, France, 8th Arrondissement. Full of old world charm, Le Chardenoux was established in 1908 and is “one of the last authentic Parisian bistros listed as a historical monument”. The bistro is run by chef Cyril Lignac, one of France’s top TV Chefs, also nicknamed the French Jaime Oliver, since 2008. The food is hearty and portions are generous. The Iberian pork rib steak with sate sauce was juicy and tender. The beef tartare was one of the best I have ever tasted while the foie gras terrine was rich and buttery. My good friend enjoys the sweetbread there. If you can fit it in, the profiteroles and raspberry tart are delicious. As with many French bistros, space is limited (it seats 40) so be prepared to be seated close to your fellow diner. 1 Rue Jules Vallès, 75011 Paris, 11th Arrondissement. 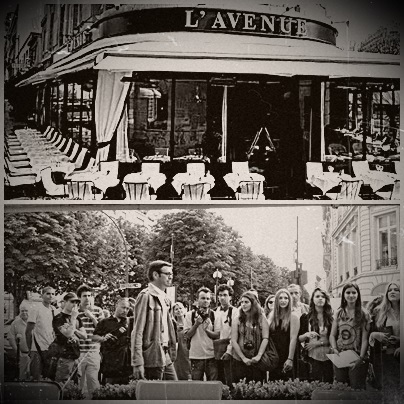 L’Avenue restaurant on Avenue Montaigne for star sightings. Food is average, French with a mix of international fare. When you see the paparazzi waiting outside, you know someone famous is inside. Just get a good seat downstairs and enjoy the view. When I am tired from shopping, I take a break there in the afternoon, sit back, enjoy my coffee and see which star is in the house that day. Sightings include Jennifer Lawrence, Lana Del Rey, Kim Kardashian and Kayne West, Beyonce, Rihanna. Otherwise, spy the beautiful people sitting around you. 41 Avenue Montaigne, 75008 Paris, France , 8th Arrondissement. 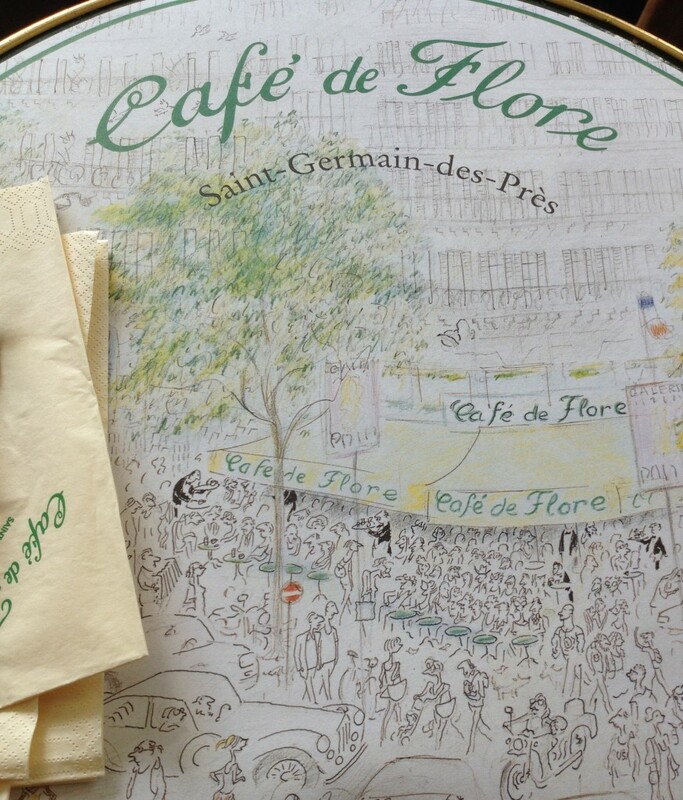 Cafe culture is such a big thing in Paris, so where else better to experience this than at Café de Flore. In its earlier life, this was the hotspot for luminaries Pablo Picasso, Jean Paul Sartre and Simone De Beauvoir. These days you might spot the fashion glitterati like Karl Lagerfeld and Sonia Rykiel (she even has a sandwich named after her) sitting next to well-heeled ladies or tourists. It is great for people watching in the Saint Germain district while enjoying your coffee and pain au chocolat. Or while enjoying a traditional croque-monsieur or rillettes au pain poilâne. 172 Boulevard Saint-Germain, 75006 Paris, France, 6th Arrondissement.